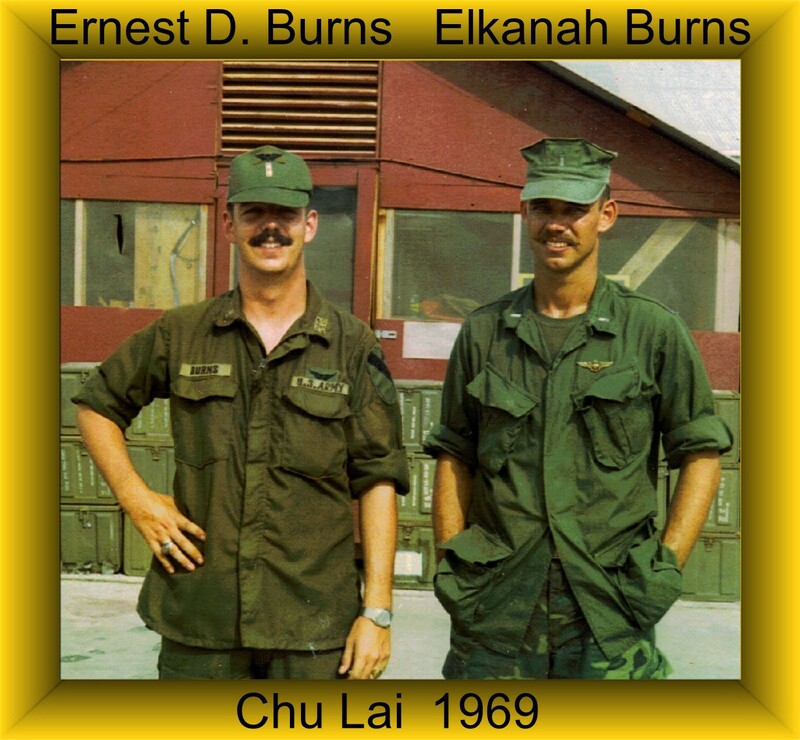 Ernest D. Burns was assigned to Charlie Troop on April 29, 1968 and was Killed in Action on July 14, 1969. He was awarded the following for his bravery: Air Medal, National Defense Service Medal, Vietnamese Campaign Medal, Vietnam Service Medal, and a set of Flight Wings. Ernest was a Pilot of an UH-1B Helicopter. I personally knew Ernest Burns. I was an enlisted infantryman and he was a Warrant Officer so I called him Mr. Burns. He was one of the friendliest, happiest and sincere men I have known. Actually, Ernie lost his life on July 14, 1969. I will always miss him. Marion, Thank you so much for pointing out my error. I try very hard not to make any but sometimes I just don’t do as good a job as I should. I knew Ernie. He died after I left Vietnam and it wasn’t until about 10 tears ago that I learned he had been Killed in Action. Once again thank you. By the way if you have a story about him or some photos that you would like to share with all who read please send them to me at pcbnamin@verizon.net and I will add them to his post.